I enjoy buying old, used coin supplies. Not only are used coin collecting supplies less expensive than new ones, but many old coin supply products are vintage collector items themselves — sometimes they’re as scarce (or even scarcer) than the very coins they were designed to hold! What are some of the most common types of coin products? 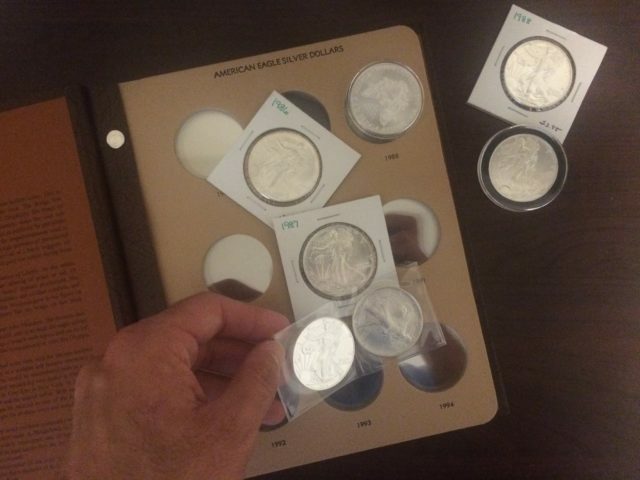 Of course, there are some downsides to buying used coin collecting supplies, too. They cost less than new ones — I’ve bought Whitman coin folders for 25 cents, deluxe Capital Plastics coin holders for $2, and an array of other used coin books, albums, and other items for less than $3 each. The bottom line? It’s cheaper to buy old coin supplies than new ones. You can find out-of-stock items — There were many different coin folders, coin albums, and coin holders that were produced years ago that are no longer made today. If you’re looking for a neat way to store your coins, buying used coin products may be the solution. Buying them helps you recycle — Keep old coin collecting items out of the garbage by reusing them for your coin collection. Not only will you be giving these old coin folders, books, and other items new purpose, you’ll be keeping our environment a little cleaner, too. Some old coin supplies go up in value — Did you know some classic coin folders, albums, and other supplies are worth a lot of money? For example, classic coin boards, coin folders, and coin albums are worth $10 to $100 or more today. 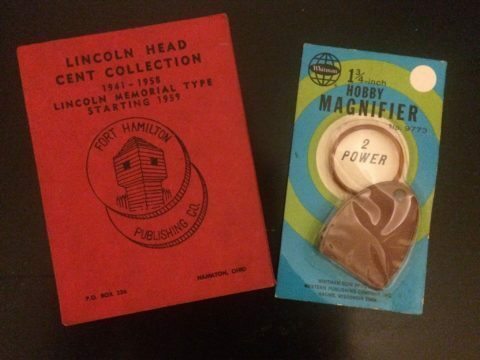 Meanwhile, some vintage coin books are worth $100 and up. They may be damaged — Old coin books, folders, albums, and other items often have some form of damage, ranging from scratches and cracks on old plastic holders to stains and bent corners on folders. Many used coin books have dog-eared pages, writing, and other nagging imperfections. Some contain chemicals dangerous to coins — Polyvinylchloride (PVC) is often found in old coin products that contain plastic, yet this chemical is one of the most dangerous for coins. Older paper-based coin products such as penny boards, folders, and albums contain sulfur and glues that are known to cause damage to coins. Old supplies may be dirty, moldy, or just plain grubby — Let’s face it, there are some pretty nasty things on some old coin holders, folders, books, and other items. I’ve seen questionable stains on vintage cardboard holders, yellowed 2X2s (probably discolored due to being in households occupied by smokers), and I’ve come across old coin books that smell musty and even contain mold. Some things are unfortunately supposed to go to the great coin collection in the sky. Used coin supplies may need some TLC — Bullet point #3 above highlights an important concern: I’ve seen very few used coin items that are in ideal shape. Many, however, are salvageable — they just need a little love. I recently bought some old Capital Plastics coin holders that I wanted to refurbish. I spruced them up by scrubbing them down with baking soda, rinsing them well, and buying new plastic screws and screw posts for them before placing my coins in the vintage display cases. 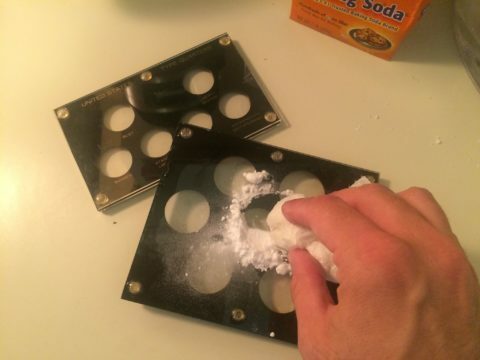 This, by the way, is the closest baking soda should EVER come to coins. Yes, my friends… I’m again kindly advising you to never clean your coins! Are Capital Plastics Coin Holders Worth The Price?